If the call of the wild is beconing, and you just wait any longer to buy a new pair of trail running shoes and hitting the great outdoors, there are plenty of viable options available. However, if you’re willing to hold out a bit longer, you may be rewarded with one of the hottest trail runners to hit the market in recent years. 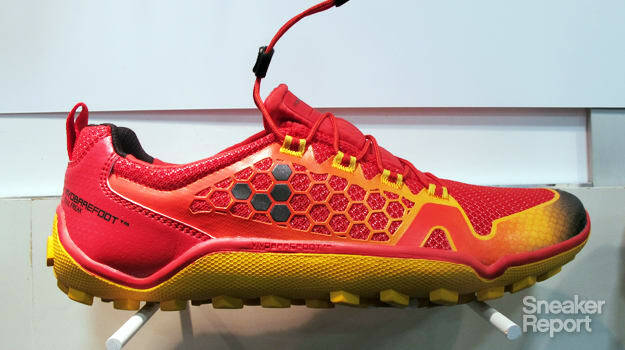 Of course, we’re talking about the all-new Vivobarefoot Trail Freak. Part of the Vivo S/S ’14 lineup, the Trail Freak has everything going for it. Aesthetically, the vivid palette of warm colors is off the charts. In terms of performance, a comfortable second-skin fit, lightweight yet supportive frame, and ground-hugging traction are just some of the features that make the Trail Freak one of the most anticipated trail running sneakers for 2014. At least on paper anyway—the real test will come when we hit the trail in a pair (stay tuned for a performance review on the Trail Freak).